Put the kettle on and grab your favourite pack of biscuits - the 2015 Stampin' Up! Autumn Winter Catalogue is finally here! Download your copy by clicking on the picture above and enjoy having a good browse through the catalogue and the exciting new seasonal products. Now if you are like me and your wish list gets longer and longer as you turn each page, then download this FREE printable Wish List by clicking here. Its perfect for jotting down what products you want to buy. 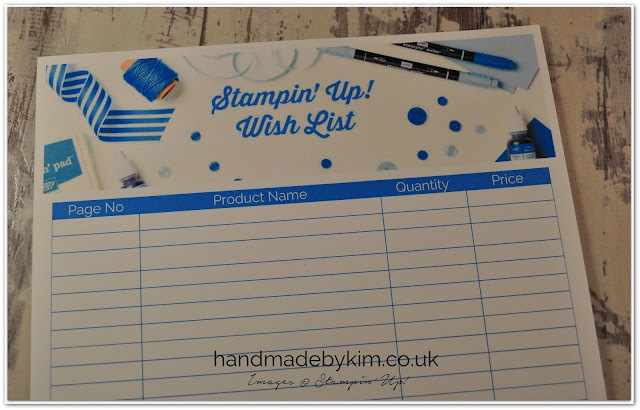 If your list end up being quite long, then it might be worth you considering joining Stampin' Up! The joining offer allows you to spend £99 to get £150 of product. Not only will you get £51 of extra products, you will also benefit from a fabulous discount off future orders. Find out more by clicking here. If you decide to join Stampin' Up! and have chosen me as your upline, you will receive a one of a kind set of handmade gifts from me. Here is a picture of the set I have made for the first person who signs up with me. 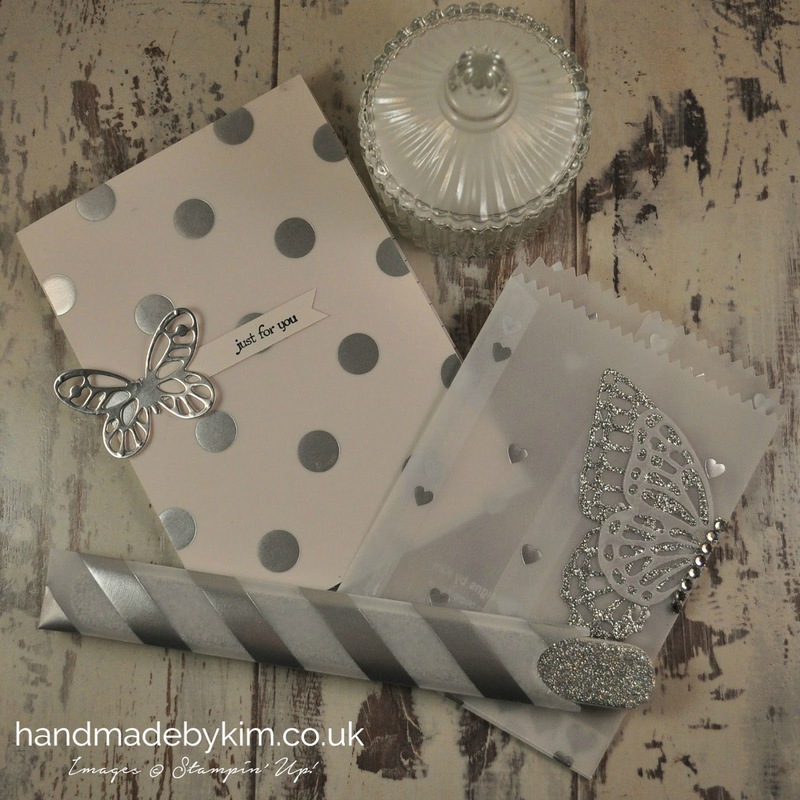 Its a covered notebook, nail file & holder and treat bag. Come back on Wednesday to see the Butterfly card I've made using the Watercolour Wings stamp set and then on Saturday we have another Pinkies Blog Hop featuring products from the new Stampin' Up! Autumn Winter Catalogue. Make sure you don't miss a thing by clicking here to subscribe to my blog.